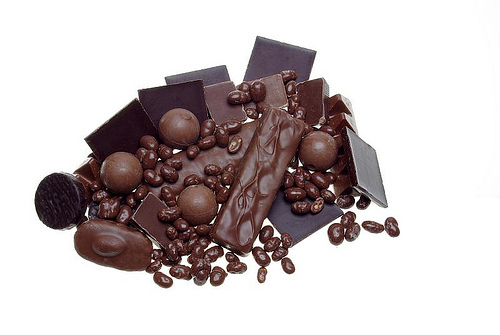 National Chocolate Day! - San Diego Dining Dish! Today is National Chocolate Day!!!! Here are some places in SD to celebrate! Tucked in the heart of University Avenue, Uptown Tavern focuses on combining fun and flavor in each dish. Spoil yourself this holiday season with a delectable Molten Chocolate Cake served in a mason jar. This down home treat is topped with a chocolate porter sauce, honey whipped cream and seasonal berries. Drooling yet? Try a twist on a classic at 2GOOD2B for one (or more) of their coconut chocolate cupcakes. These gluten-free delights come in full or bite sizes. Stop in for one or be a hero, bring a dozen to soccer practice for the kids. Palate pleasing for even the pickiest of eaters, we challenge you to see if you even miss the silly gluten. Need a chocolate fix without any of the calories? Unleash your inner hipster and step away from the norm with Café Lulu’s refreshing Mint Chocolate hookah. Pair it with one of their delicious coffee drinks for an experience that is sure to indulge all of your senses. Prefer to drink dessert? Escape from the downtown hustle at the Gaslamp’s newest martini lounge. You can find the Chocolate Mint Martini at Ginger’s, located downstairs from the popular barleymash. Made from Zaya rum, Kahlua and Carolyn’s Irish Cream, this drink is perfect for the adult chocoholic.